Everything fine, more than expected, near to everything interesting in Florence. Grazie Giuseppe. Saluti. Full-furnished kitchen (microwave oven, washing machine, Tv). 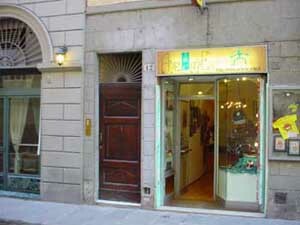 Behind the Uffizi Museum, in a very old palace, an historical apartment is at your disposal for your stay in Florence. 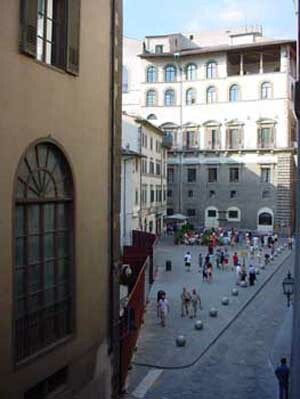 At the second floor, double room with 2 windows facing Palazzo Vecchio, single room, living-room with kitchen and a sofa-bed for 2 people, bathroom with shower. At the entrance, the library shows books and maps on Florence and Tuscany. The kitchen has Tv, microwave, washing machine. 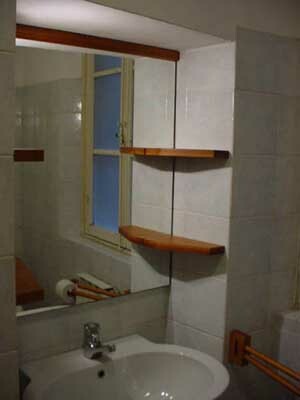 Single room with Tv and fan, double room with stereo. Truly silent and discreet, the apartment is exactly in the middle of the monumental quarter of Florence: you can enjoy both cultural visits and nightlife. Cancellation is possible until 1 am 1 day prior to the check-in date without penalty.